25.02.2011 » Caparrós: "Cristiano Ronaldo represents the player of the future"
Athletic Bilbao coach, Joaquin Caparrós praised Cristiano Ronaldo and looks at him as the model for the player of the future. Athetic Bilbao coach, Joaquín Caparrós, confessed he admires a lot Cristiano Ronaldo. 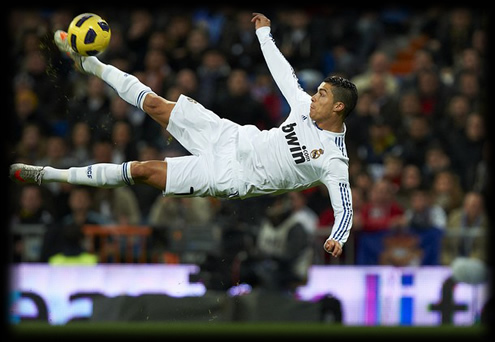 The Spanish coach said to the journalists that Cristiano Ronaldo is the prototype of the football player of the future. In a small talk with the press, Caparrós was asked the unavoidable question about the comparison between Ronaldo and Messi. Caparrós: "They are the two best players of the World. Messi is more talented, more of a street player. Unfortunately, that kind of players tend do disappear. Cristiano Ronaldo is the player of the future. He seems like he was made in a laboratory, with a tremendous physical power and turning into the most complete player you can imagine." The Athletic coach also praised Real Madrid, but he still thinks Barcelona is the favorite to lift the trophy at the end of the season. Caparrós: "Real Madrid is getting more consistent as time passes, but a 5 points gap is still a lot in a competition where these 2 teams lose so few points. Anyway, I think that Real Madrid "tic-tac" can win to Barcelona "tiki-taka". However, this Barcelona team is unique and they are the best playing team I've ever seen in my life." Real Madrid will play tomorrow (Saturday) against Deportivo de La Coruña and you can watch the game in ronaldo7.net. Cristiano Ronaldo was called up for the match and should start the game.